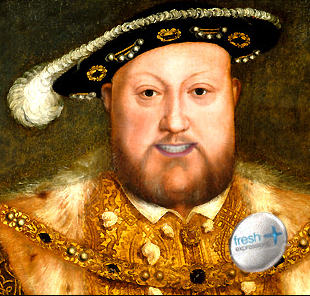 King Henry VIII today launched an initiative to revitalise the Holy, Catholick and Apostolick Church in England. Entitled Fresh Expressions, it is the Defender of the Faith’s hope that this initiative will introduce innovations into worship in the churches of England to better meet the needs of his modern subjects. This entry was posted in Funny articles and tagged Anglican, cafe church, Church of England, fresh expressions, king henry viii, labyrinth, messy church, pope clement vii by masterofthememes. Bookmark the permalink.